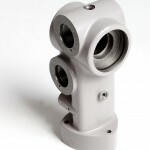 Castech have been specialist manufacturers of Precision Aluminium Sand Castings for over 26 years. 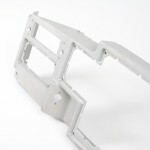 Our unrivaled success is based on taking the well established Aluminium Casting process and integrating it with state of the art tooling techniques. 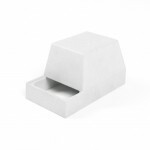 This allows us the opportunity to cast a wide variety of casting sizes with different levels of intricacy. We have manufactured Sand Castings for industry leading companies from the following industries: Military, Defence, Medical, Optical, Electronics, Automotive and more. We are often casting housings, heat sinks, valves, pumps and other more uncommon components. We provide a complete service and deliver your components complete to drawing specification. We offer expert technical advice throughout the process as well. We appreciate that every project is different. Please get in contact today and we will be delighted to help get your Aluminium Casting requirements up and running. We also manufacture and supply Gravity Die Castings and Pressure Die Castings. 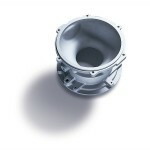 Top quality development Aluminium Castings can be produced without incurring the usual high cost of tooling. If you are looking for a sample before you commit to the Sand Casting process, we also offer CNC Machining. High quality hardwood, plastic and metal patterns can be modified at any stage to accommodate design changes. 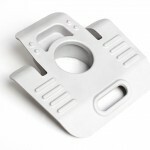 For prototype work, low cost patterns are also available. Our primary method of fine limit Sand Casting is Air Set / C02 moulds. Traditional Sand Casting utilising ultra fine grade loam is also available. We manufacture our Aluminium Castings from fully certified ingot LM6 – LM25, LM9, LM4, L99, L169, AB2 and HTB3 as standard. However, alternative specifications are also available. Please enquire. To see these alloys in a comparison table with their characteristics and other properties investigated, please click here. Aluminium Castings are hand finished by our highly skilled work force and checked for accuracy and consistency using specific gauges and jigs. A final shot-blasting process enables anodising, alochroming or painting to be applied without further surface finishes required. Our Sand Castings are individually inspected during production and on completion, with Certification and Inspection Reports provided as appropriate, all in accordance to our ISO 9001:2015 standards. In-house machined components are thoroughly inspected prior to delivery. Certificate of Conformance or Inspection Reports can be provided as appropriate. We have a fully equipped in-house machine shop that boasts CNC Milling and CNC Turning capabilities. We can, if required, also offer conventional methods of machining! 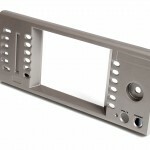 We supply your components complete to drawing specification. 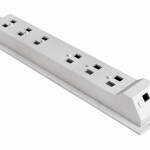 This includes a wide variety of post cast finishes. 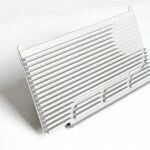 We work with a small group of local companies that are approved suppliers. We have a great relationship and share high levels of trust. We can offer heat treatment (to varying specifications), X-ray, Crack Detection, Anodising, Alochroming, Impregnation, Hot Isostatic Pressing and Plating. We have in house painting services and can offer wet paint or powder coat finishes to a very high standard. Our very accurate mould and core assembly produce castings with tolerances of ± .4mm up to 250mm and ±.05mm per additional 25mm applies. Ideally, your components will have a minimum wall thickness of 3mm. However, we can cast as low as 2mm in local areas. Draft angles of 1 to 1.5 degrees are the norm. Square faces can also be achieved. Stringent quality control procedures apply through the production process, as reflected in our ISO 9001:2015 standards. Pattern Equipment Manufacture – Combining traditional skills with 3D CAD/CAM facilities to produce high quality tooling and components, quickly. All of our components are packed carefully and securely to ensure they arrive to you in the condition they left us. We use leading courier services and deliver using Express Service (next day delivery). If you require a different type of service, please let us know. Please send us your enquiries via email or give us a call if you would like to discuss your requirements. Ideally, 2d PDF documents will be available and these will be supported by 3D IGES/STEP files. Once we have received your files we will take a look to familiarise ourselves and will give you a follow up phone call. We will then work on a quotation and get this over to you as soon as possible. We are here to help.